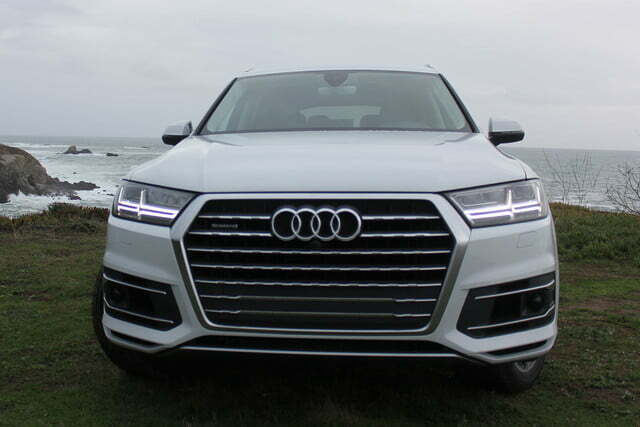 A decade of learning and development slices as sharply as a beam of light into the fog of luxury SUVs, clearing a path for the brilliant 2017 Audi Q7. When you spend all your time flopping from one drivers seat to another, you develop a keen sense of good brake feel, throttle response, steering input, technology interface, and interior comfort. It’s instinctual at this point to tap into these elements and whip up mental notes that I will later (to varying degrees of success) parlay to you, the reader. Somewhat optimistically, I hope to find trend-setting technology, design, or performance in each new vehicle – something that with make my cerebral spreadsheet skip a row or two. Unfortunately, my search is often fruitless. 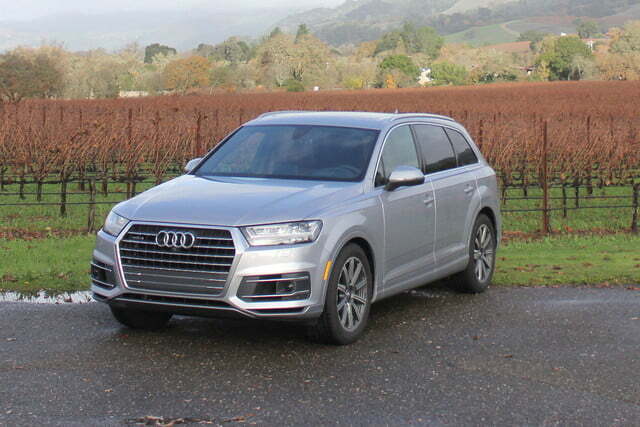 The 2017 Audi Q7, however, brought quite the report card home from school this year, and in return, it deserves everything it wants for Christmas. 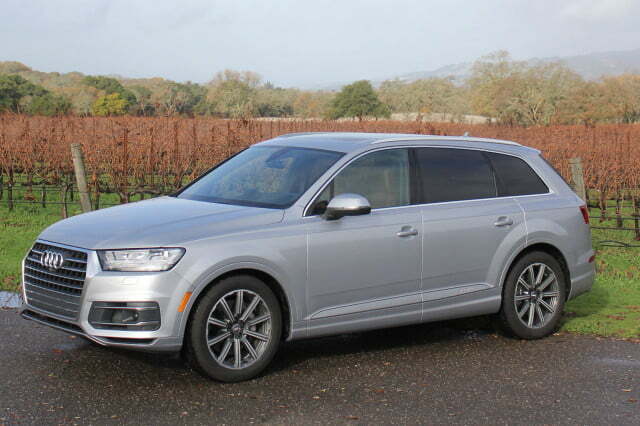 Just three turns into a particularly windy stretch of Highway 128 in Napa, California, it was boundlessly clear that the all-new Q7 was engineered to drive like a svelte sport sedan, not a 4,900-pound SUV. 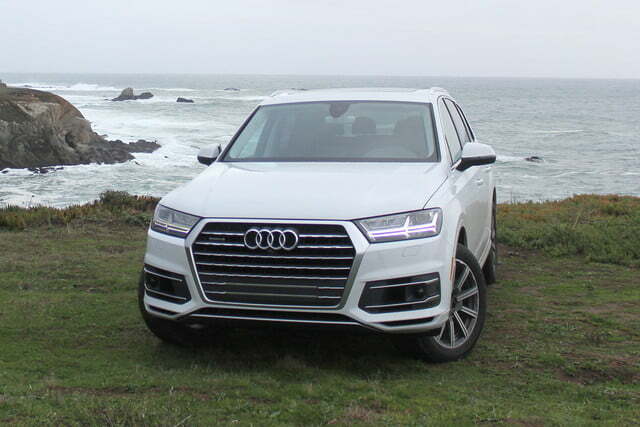 It’s been ten years since Audi debuted its Q7 model – ten years of tweaks and adjustments – and buyers are more enthused than ever with the German automaker’s flagship people-hauler, as evidenced by its rising sales figures. 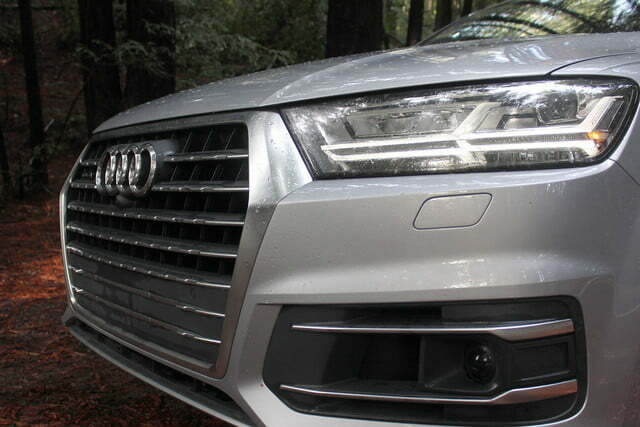 That’s great news for Audi, but the world is ready to see what a decade of R&D can yield. 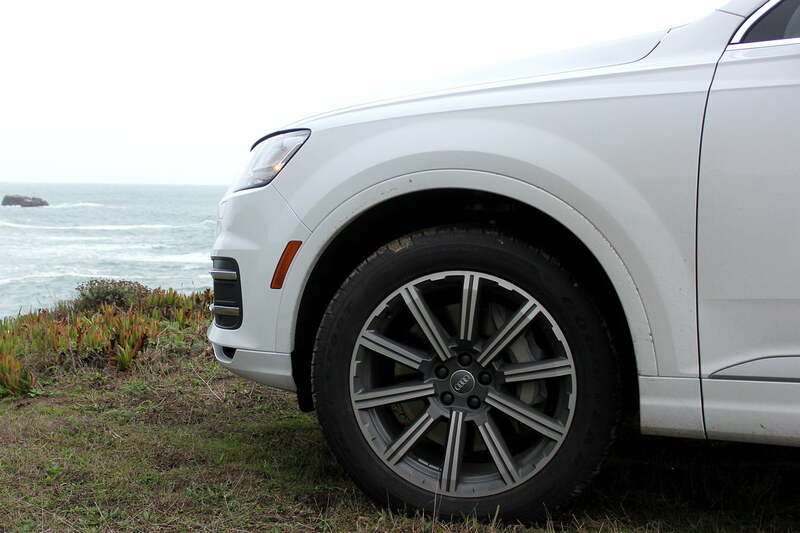 The most impactful changes take place at the 2017 (yes, 2017) Q7’s foundations. 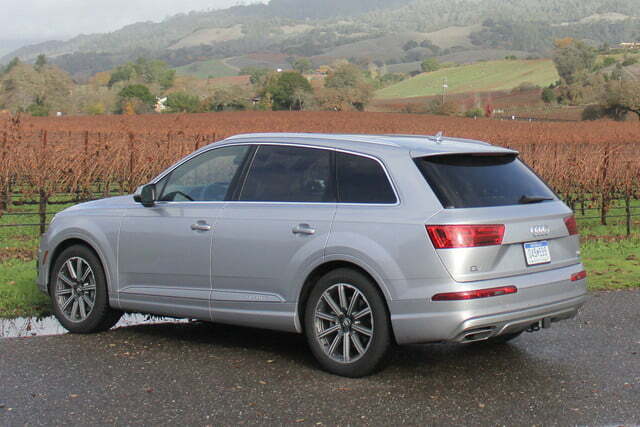 As the first of many Audis to ride on the new MLB vehicle architecture, the new Q7 uses aluminum in 41-percent of its construction, contributing to a drastic weight differential of 474 pounds compared to the current generation. 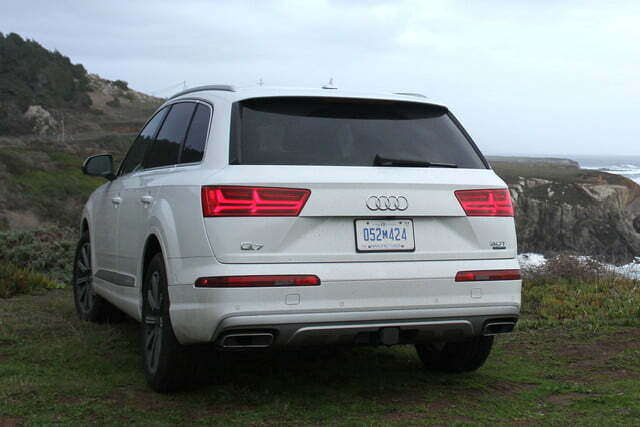 The greatest heft was removed from the Q7’s suspension, which has been re-engineered as a five-link independent system front-and-rear. Other significant changes include an electric steering system, a 1.5-inch lower center of gravity, an available adaptive air suspension with rear-wheel steering (a first for Audi), and brake torque-vectoring. 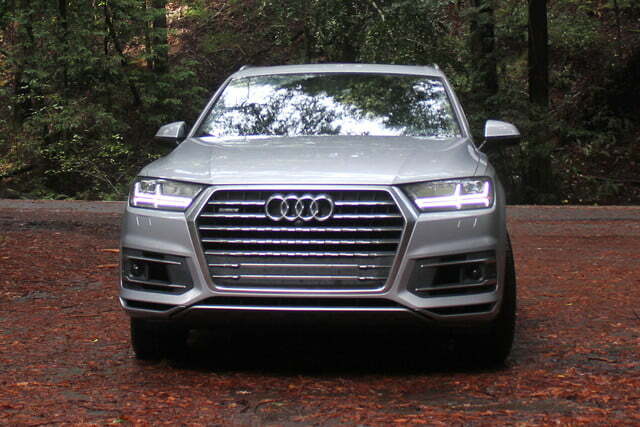 Then there’s the powertrain: at launch the 2017 Q7 will be available exclusively with a 3.0-liter TFSI supercharged V6 making 333 horsepower and 325 pound-feet of torque, paired to an eight-speed automatic transmission. 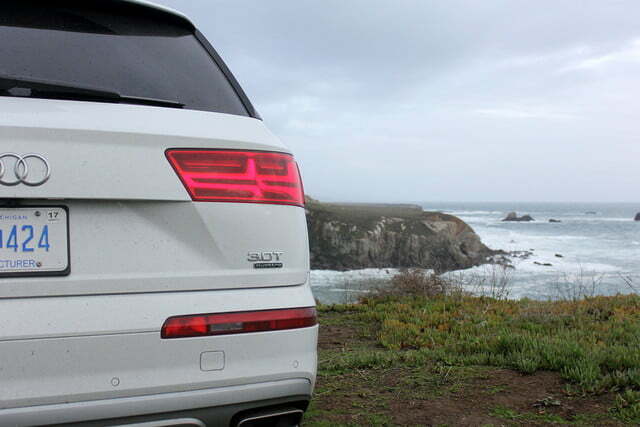 Due in part to its lightened form, the full-size SUV sprints to 60 mph in just 5.7 seconds and on to a limited top speed of 130 mph. 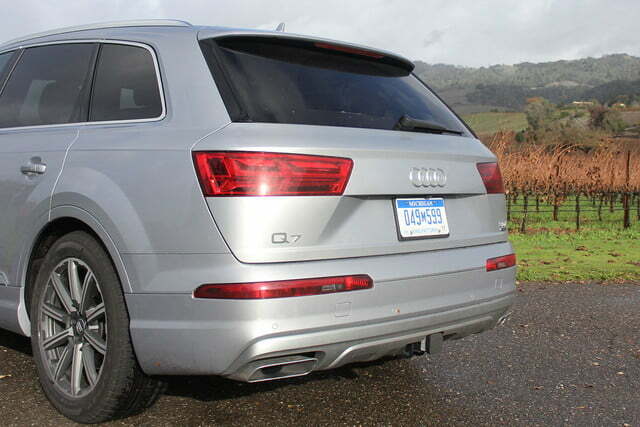 Thanks to “supercharging on demand,” where the supercharger disconnects from the drivetrain at cruising speeds, the new Q7 is frugal, too. On the highway, you’ll manage 25 miles per gallon or 21 mpg of combined city/hwy driving. 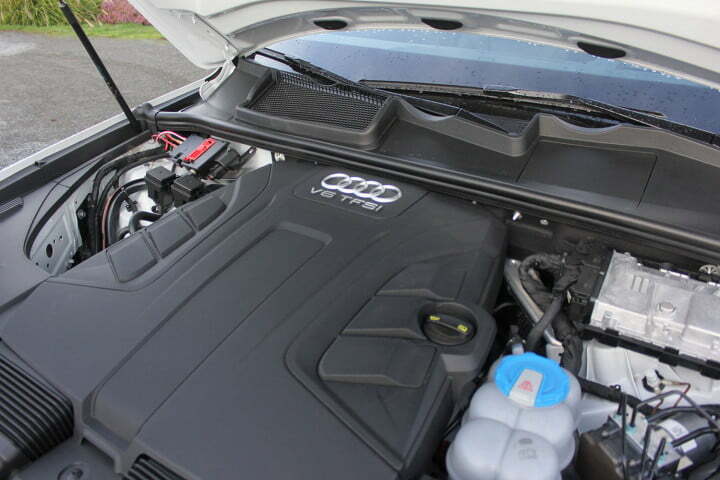 Down the road, a four-cylinder TFSI and, once it’s mended, Audi’s 3.0-liter TDI will be available, along with a 400+ hp S-variant. 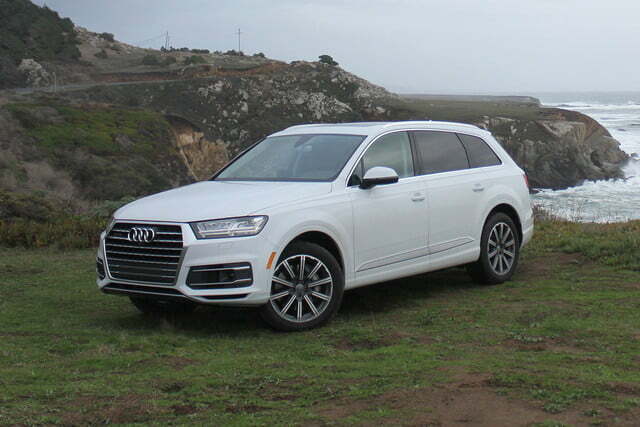 Between the corners, the 2017 Audi Q7 hastens the pace, but it’s how the seven-seater carves its line through a bend that’s astounding. 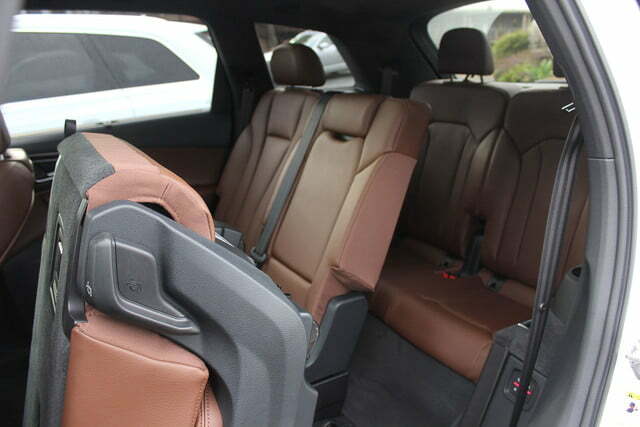 Adjusting for an ounce of body roll and a hint of understeer from the Q7’s standard Quattro all-wheel drive, the SUV dives promptly into a corner and comes out the other side with all the traction you can handle. 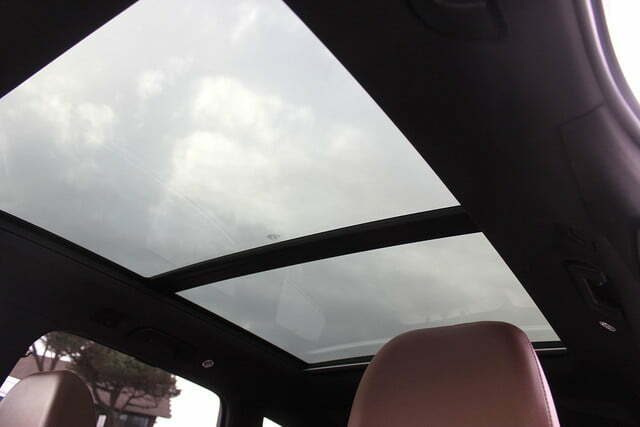 Fantastically nimble, the Q7 consistently fooled me into believing – mind, body and soul – that it was a significantly smaller vehicle. 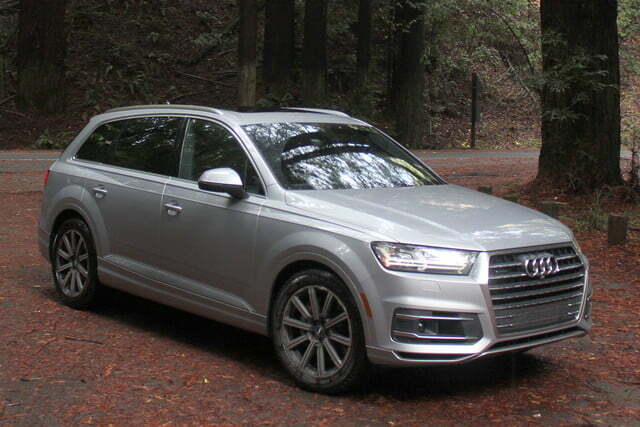 The 2017 Audi Q7’s design is both typical Audi refined and yet strikingly handsome from first glance. 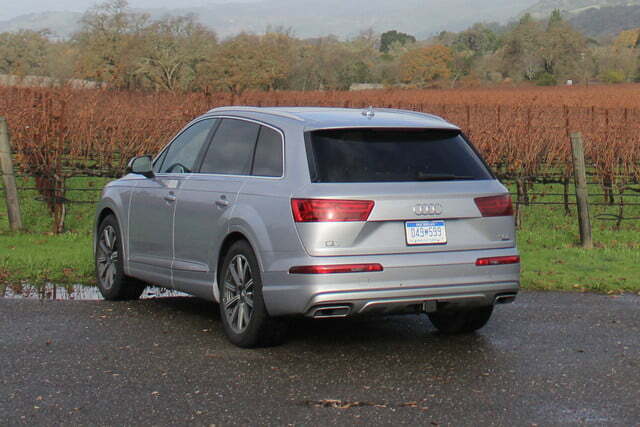 I’m still baffled that the new Q7 is almost identical in length and width to the current generation because its new Q-design language appears to shrink the car’s footprint considerably. As a result, the body looks taunt and agile where its predecessor seems bloated and amorphous. The 2017 Audi Q7 brought quite the report card home from school this year, and in return it deserves everything it wants for Christmas. 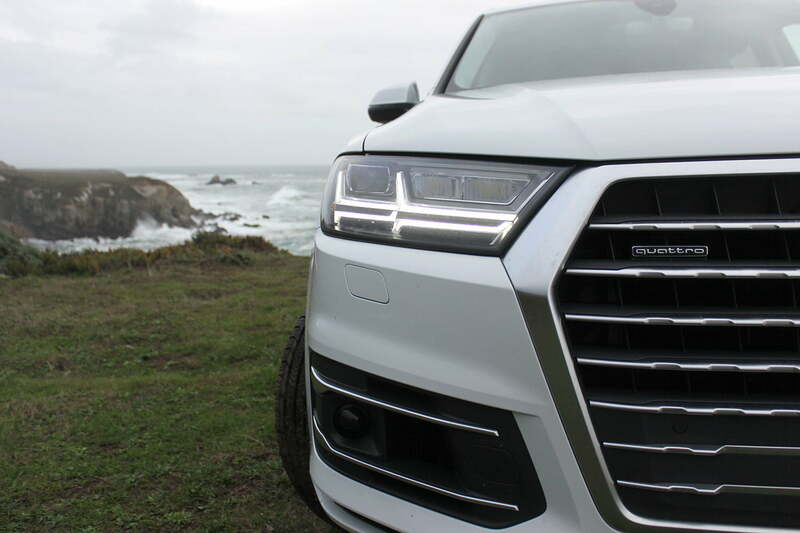 The new Q7’s lines are creased with origami precision, drawing the eye to its hexagonal single-frame grille, arrow LED headlights and taillights, bold wheel arches, strong shoulder lines, and trapezoidal exhaust tips. 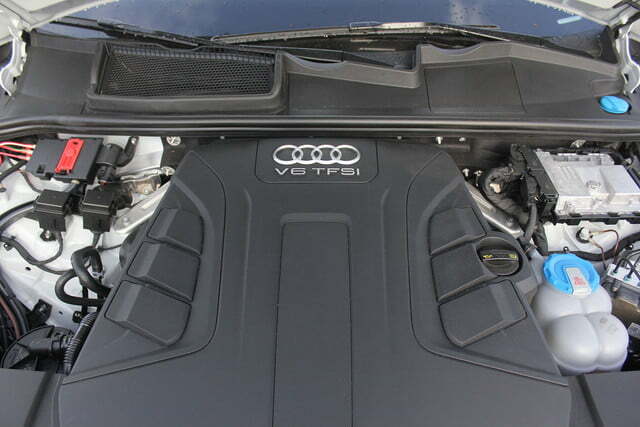 Cues from the redesigned TT and R8 sports cars blend nicely into the Q7’s greater surface area to distinguish it from competitors like the BMW X5, Volvo XC90, Mercedes-Benz GLE, Acura MDX, and Infiniti QX60. 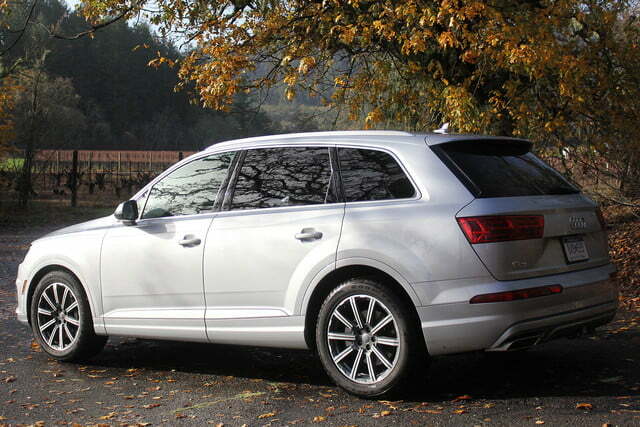 The Q7 stands out like a modern home in a mid-century neighborhood tract, sparking the imagination. Its styling isn’t just for show, either: Audi claims the Q7’s aerodynamic figure translates to a 0.42 coefficient of drag – best in its class. 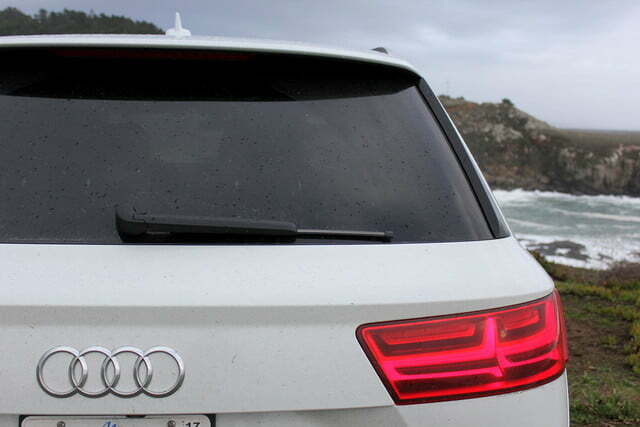 The front fascia sports a singular line from one headlight tip to the other, giving the SUV a low brow and stance. 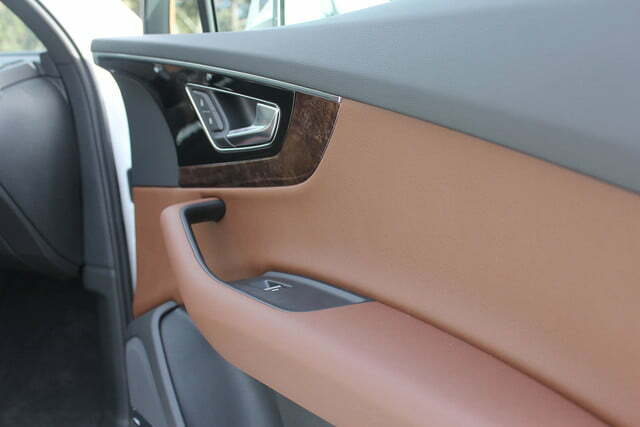 Moving rearwards, the Q7 receives its own R8-esque silver side blade with a horizontal rather than vertical orientation and rugged wheel housings. 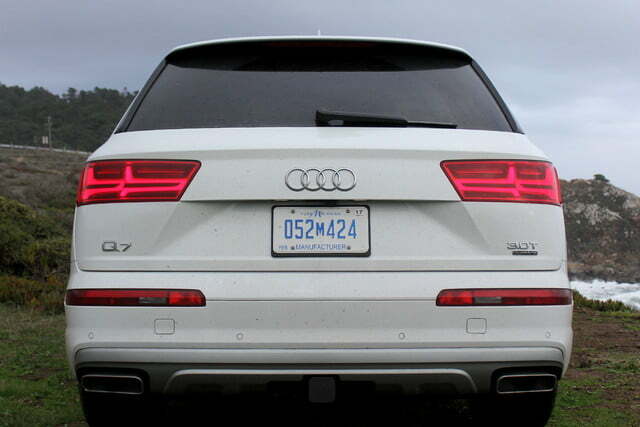 At the back, the Q7’s body artfully wraps to “hug” the hatch but its taillight jewels ultimately draw the most attention. 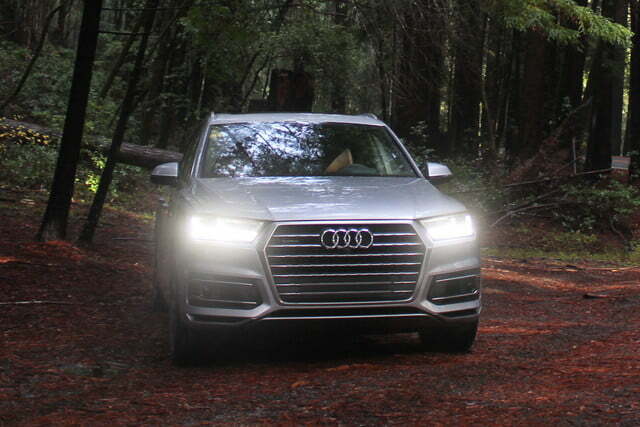 The 2017 Q7’s flat, wide lines creep into the interior, where Audi designers molded a wrap-around dash to open the cabin atmosphere, accentuated by razor thin light bars. 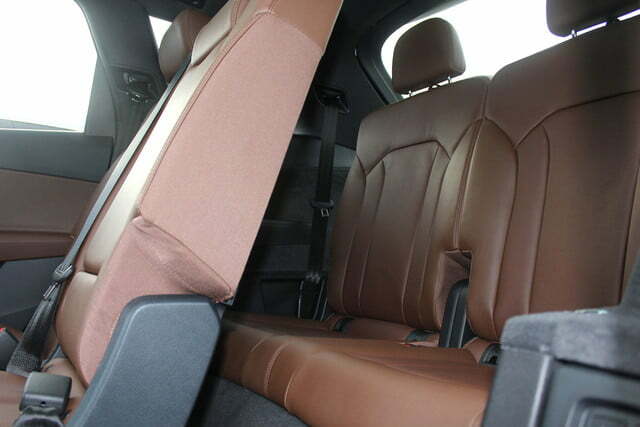 Indeed interior volume has been improved overall and the power-folding third row even has legroom for a six-foot adult (with a sense of humility). 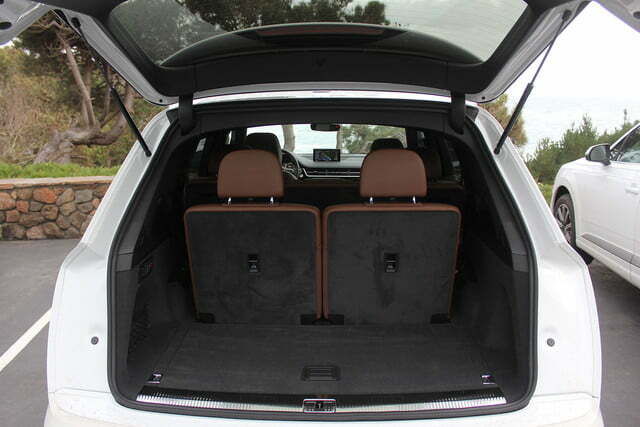 In terms of utility, the second row can both fold and tumble forward, revealing 71.6 cubic feet of storage. 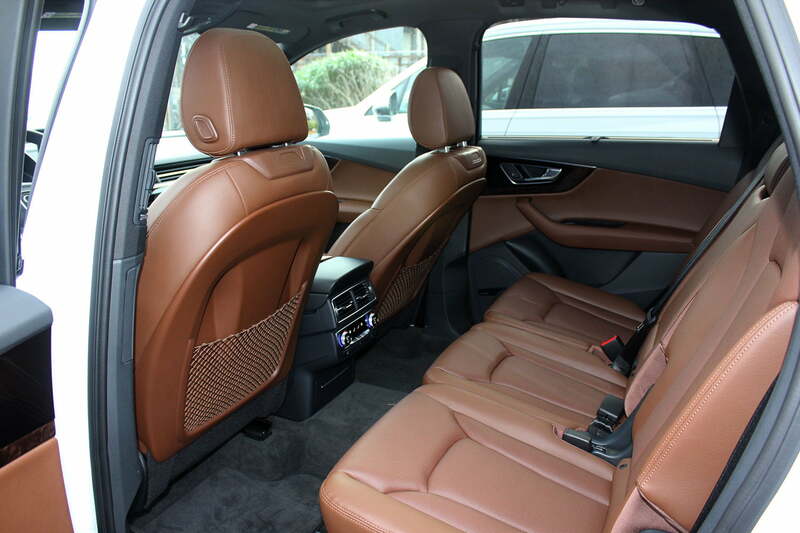 As spacious and comfortable as Audi’s new cabin may be, its crowning glory comes in the form of its sophisticated convenience and safety technology. 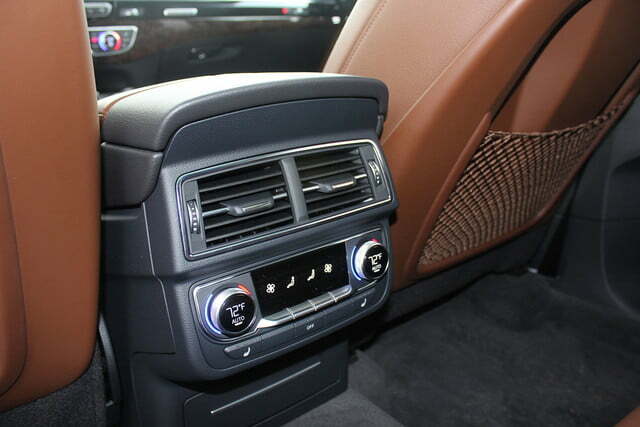 Truly, competence and convenience find wondrous, saccharine harmony within the new Q7’s cabin. Audi’s updated MMI infotainment system, virtual cockpit, and Audi connect system are as fun to use as they are handy. In mere moments, I’ve adjusted to the vivid 12.3-inch TFT driver display and simultaneously forgotten the dull world of analog gauges. 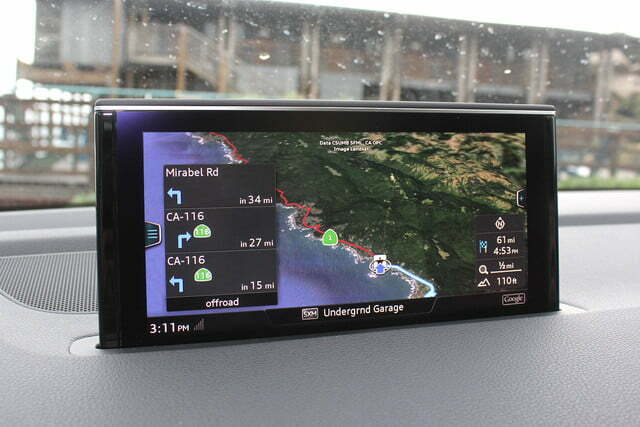 Integrated with the 8.3-inch center display, the virtual cockpit and head-up system are perfect redundancies of essential information to keep your eyes focused on the road ahead. The interplay between systems is not only fully customizable, but its driver-centric design is one of the safest I’ve sampled. 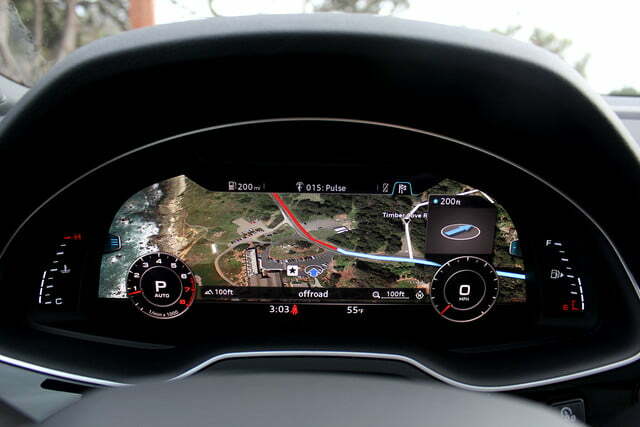 While some automaker struggle to find common ground between touch displays and physical buttons, Audi’s new glass touchpad with haptic and acoustic feedback, essential buttons on the dash and steering wheel, and voice command work together flawlessly. 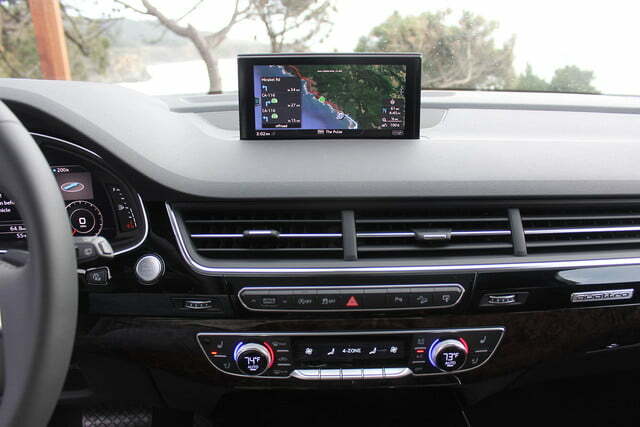 New convenience highlights include the addition of Apple CarPlay and Android Auto, a smart search that stores favorites and settings, a pinch-to-zoom function, map updates over the air, and Audi’s Connect App, which features valet and speed alerts to keep tabs on your car via smartphone or smart watch. 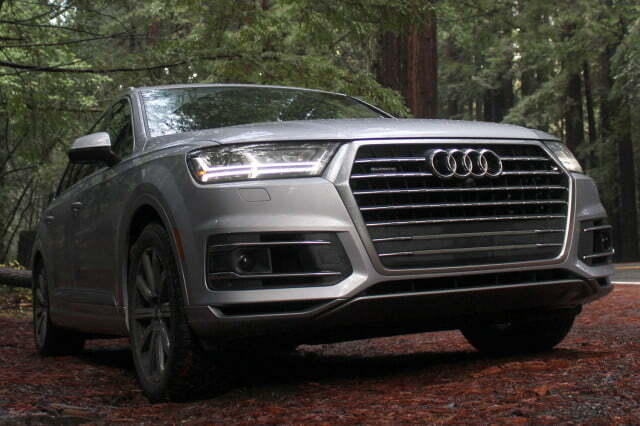 All told, Audi boasts that its 2017 Q7 is the most “connected car” in the industry. Audi has also equipped the new Q7 with its latest safety assistance systems, including rear cross traffic assist, traffic jam assist (the low-speed version of adaptive cruise control), turn assist (auto braking when turning into oncoming traffic), Audi pre-sense city (speed reduction and automatic braking), and vehicle exit assist (when opening the door into the path of a bike or car). And finally, audiophiles can choose from the standard Bose 3D sound system or a frighteningly visceral 23-speaker, 1920 peak-amp Bang & Olufsen unit. 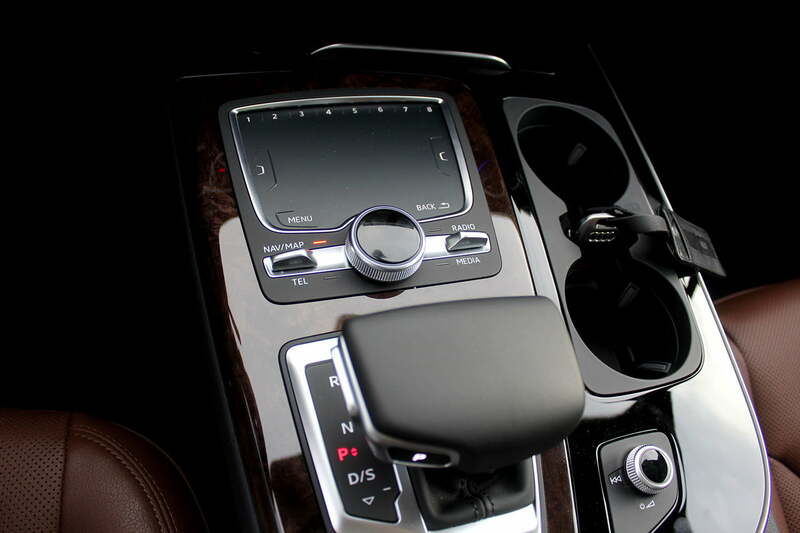 Truly, competence and convenience find wondrous, saccharine harmony within the new Q7’s cabin. Replace that cheap dealership license plate frame with something befitting that handsome new SUV you’re driving. 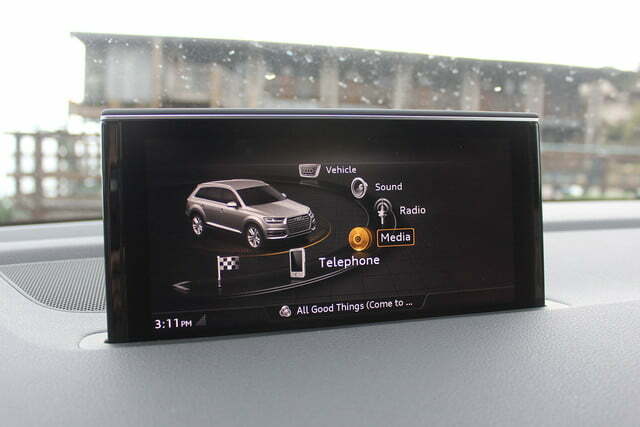 Apple and Audi just seem to perfectly suit one another, so now that you have the latest and greatest Audi product, you’d better pair it with the equivalent Apple good. Assuming you shelled out the cash for Audi’s Q7 Bang & Olufsen speaker system, just any old headphones won’t do when you’re out and about. 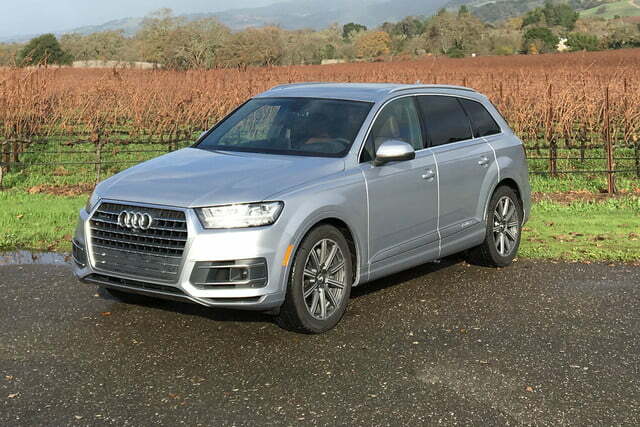 My established procedure for vehicle evaluation was forced to recalibrate several times before I finally parted ways with the 2017 Audi Q7. 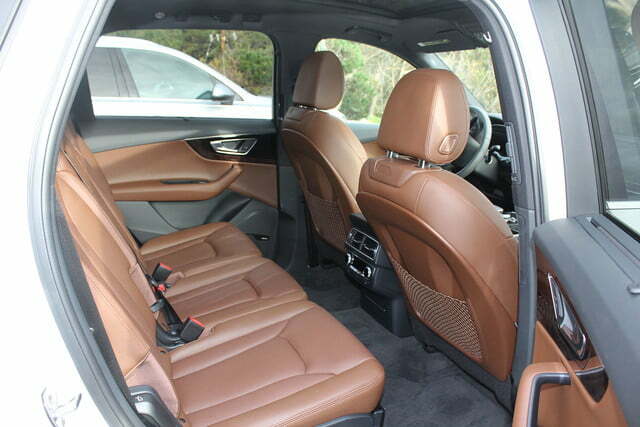 Not only does the flagship SUV check all the right boxes within its own segment, it seizes desirable characteristics of vehicles in other categories as well. 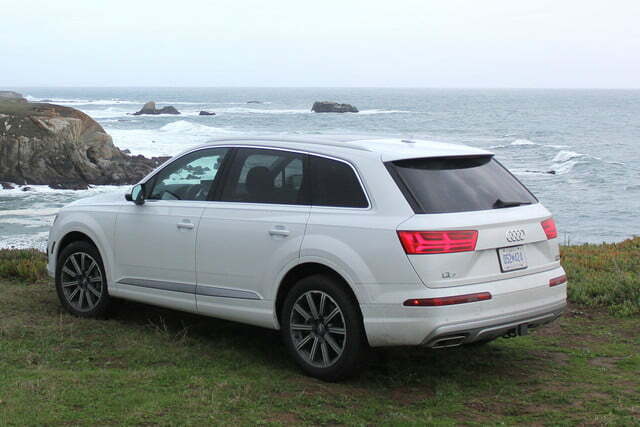 At a starting price of $54,800, even the entry-level Q7 delivers class-leading design, performance, and utility. 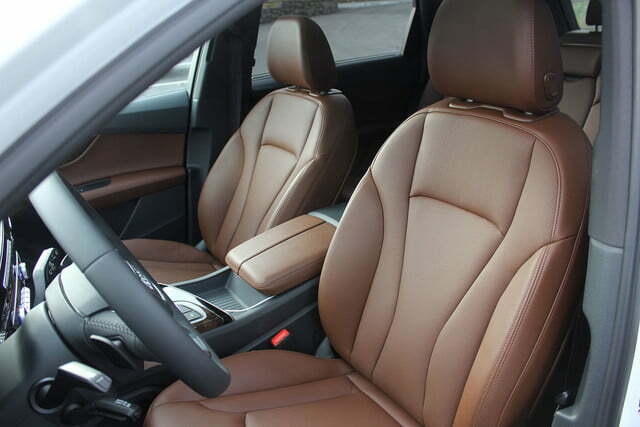 Load it up to a peak of $72,000 and it may be less of a bargain, but you’re rewarded with some of the most advanced safety and convenience technology on the market. 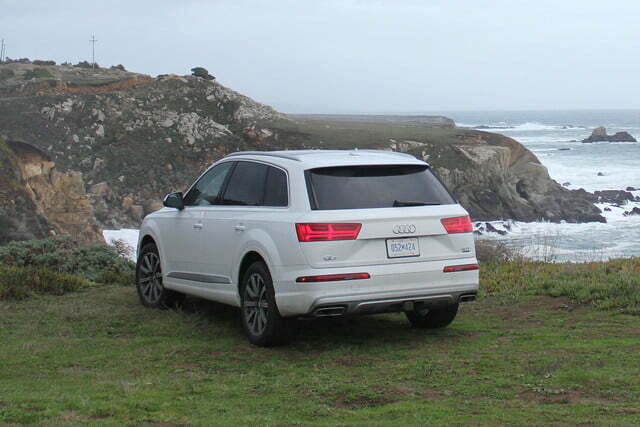 A decade of learning and development cuts as sharply as a beam of light into the fog of luxury SUVs, clearing a path for the second generation Q7 to lucidly stand out in the minds of consumers. How does Jeb Bush really feel about the Apple Watch?